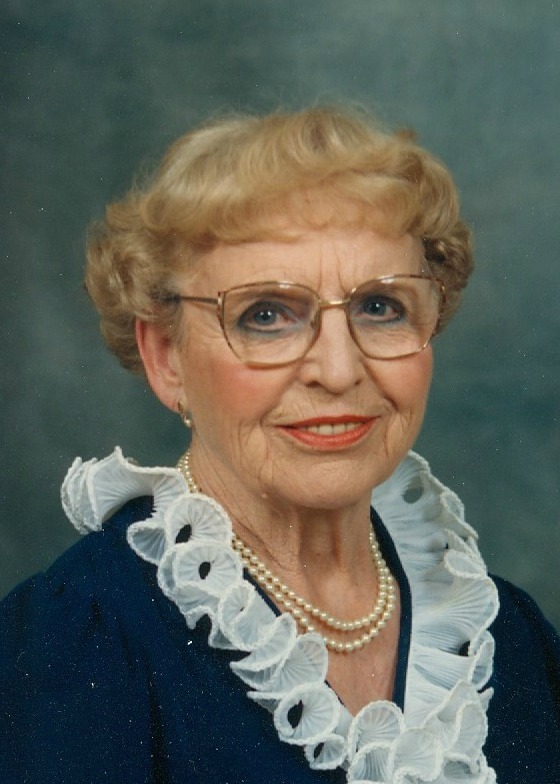 Mary Katherine Adams, 99, passed away March 20, 2017 in Gilbert, Arizona. Mary Katherine Harle was born in Mawer, Saskatchewan, Canada on May 10, 1917. A longtime resident of Canada, Mary moved with her husband Harold Dean Adams to Mesa, Arizona in 2011 to be near their son, Dr. Larry Adams, a Mesa dentist. Mary was a talented homemaker, known for her wonderful cooking and baking, and her professional seamstress skills. She enjoyed travelling with her husband in their retirement years, seeing Europe, Russia, the Carribean, Egypt and Israel. Mary is survived by her husband Harold, her only child Larry, seven grandchildren and twenty-one great-grandchildren. She also has three living siblings in Canada, one sister and two brothers. She was loved by all and especially enjoyed the hugs and kisses of the little ones. Mary was just short of 100 years when passing, an age not uncommon in her family. While we will miss her, we look ahead to celebrating her hundredth birthday on May 10, 2017. A visitation was held Wednesday, March 29, 2017 at 9:00 AM, at Bunker’s Garden Chapel, 33 N. Centennial Way, Mesa, Arizona. Following the visitation, a graveside service was held at 10 AM at the City of Mesa Cemetery, 1212 N. Center Street in Mesa. We just heard of Aunt Mary’s passing, and we would like to send extend our condolences and sympathy to all.